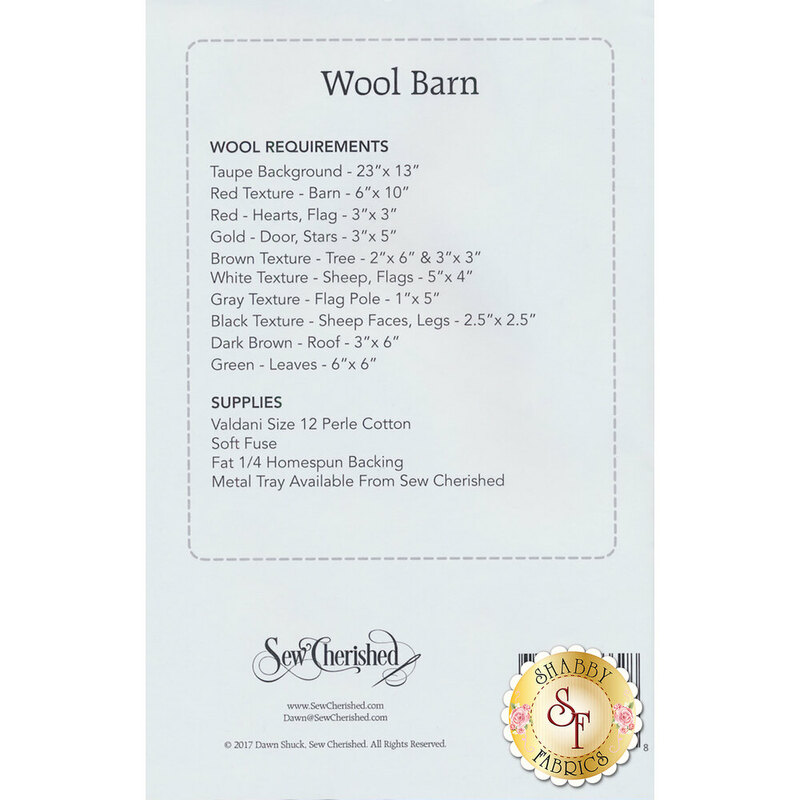 Create a warm and rustic touch for your home with Wool Barn by Sew Cherished! 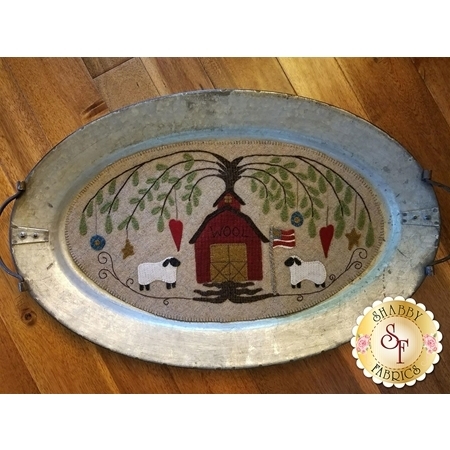 This darling wool mat features a traditional red barn complete with white sheep and flag and some hand embroidered embellishments. Made for wool fabrics, this applique mat measures 12" x 21".